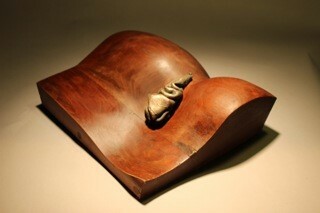 The Carlson Library is honored by the opportunity to showcase Landforms, a series of work by Prof. Judith Greavu. 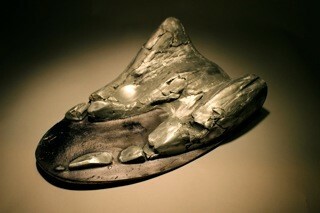 These small sculptures, created from bonze, aluminum, wood, and stone, in the artist’s words “celebrates geological forces as well as human intervention with those forces.” The materials that seem hard and unrelenting have been transformed into scenes that are soft, fluid, and ever changing. It’s an extension of these “forces”, combined with ecologic concerns that inspired her creation, “Current Forces,” a large scale bronze and glass sculpture located on the south side of Bowman-Oddy. Installed in the fall of 2013, this sculpture was brought to the University with the help of the Ohio Arts Council, the UT Campus Beautification Committee, and representatives of the UT science faculty. Prof. Judith Greavu received her MFA from Bowling Green State University and taught at Ohio Northern University from 1985-2005. 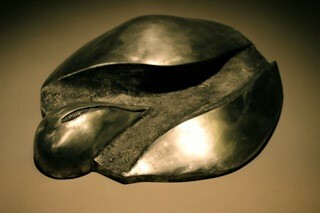 She is a professional artist who works in all media, with bronze being the media of choice for much of her work. She has exhibited regionally and nationally, including the Toledo Area Artists Annual Juried Exhibit, the Midwest Sculpture Initiative, the Sculpture Center in Cleveland, and ArtSpace/Lima. She has also completed large sculpture commissions for the Ohio Northern University, Tiffin University, Blanchard Valley Hospital, and the University of Florida. She has received numerous honors for her work throughout the state of Ohio and the country. The exhibit is located on the first floor of the Carlson Library. While visiting be sure to view the pieces from different angles, as each sculpture was created to offer different visual experiences. 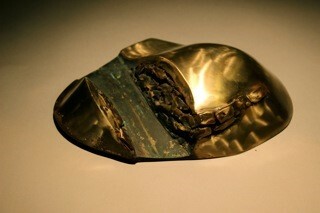 This entry was posted in Uncategorized and tagged art, sculpture by Wade. Bookmark the permalink.